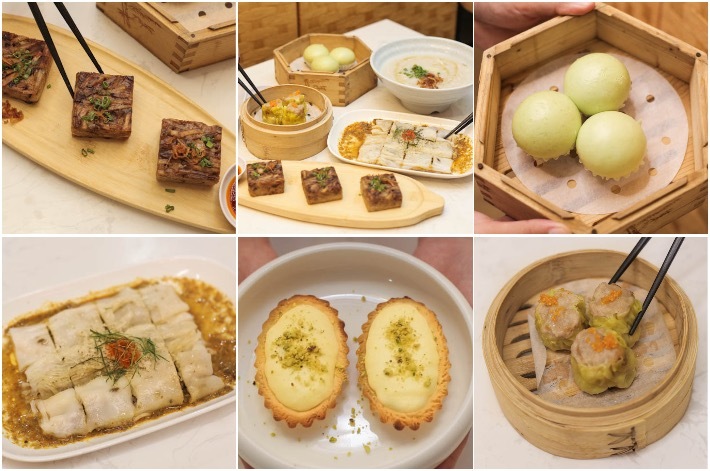 Cantonese cuisine, more specifically dim sum, often brings to mind the usual suspects such as comforting porridge, bao, and dumplings of sorts, but over at Song Garden, there is much more than meets the eye than the conventional mix of dim sum treats. Located on the second level of Mercure Singapore Bugis, this contemporary Cantonese restaurant astounds with its array of elaborate and mouth-watering dishes. Your taste buds are in for a tantalising treat of innovative creations such as Pan-seared ‘Otak’ Seafood Dumpling on Skewer, Baked Abalone Pastry and Deep-Fried Charcoal Chili Crab Meat Ball. Helmed by Executive Chef Wong Shea Nung and Executive Dim Sum Chef Leung Chi Man—both of whom have decades of experience in Cantonese cooking in Hong Kong—what diners can look forward to is an impressive array of over 30 classic dim sum staples as well as some modern interpretations that are all carefully curated by the chef duo themselves. From now until May 31 2018 (except for Mother’s Day on 13 May), our readers can quote ‘ladyironchef’ upon making your reservation to enjoy 15% off all dim sum (with min spend of S$60++). 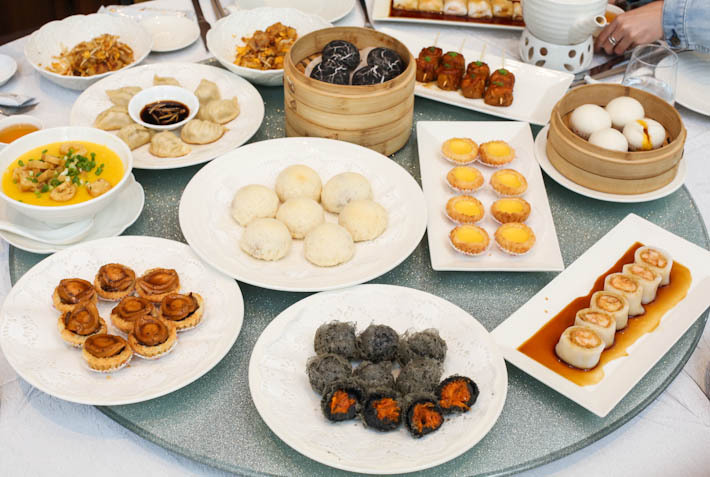 Here’s what you can expect from Song Garden’s stellar line-up of dim sum delights. 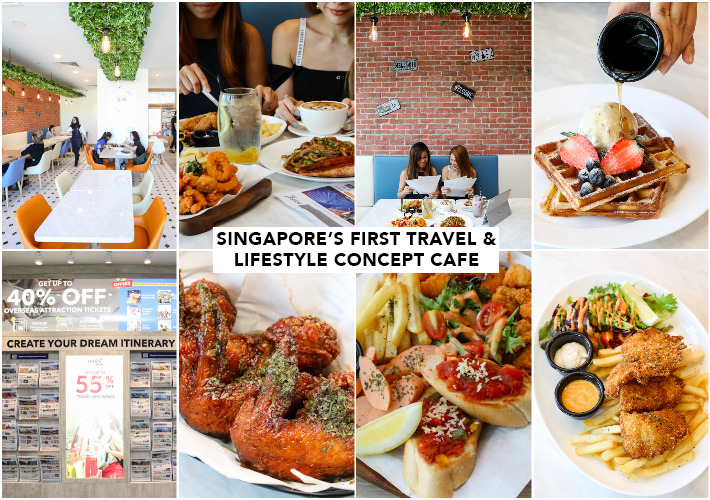 There is a new travel-lifestyle concept cafe in Singapore and it is none other than HyfeCafe—which just opened its doors in Tampines 1 this March 2018. Ever wanted a conducive place to plan your trips with your friends? HyfeCafe it shall be. This cafe by Changi Recommends is a one-stop place for you and your travel buddies to plan your travels, book your attraction tickets and passes, purchase travel insurance and more—all while enjoying casual Asian-fusion fare! HyfeCafe is Singapore’s first ever travel-lifestyle concept cafe where all your unanswered questions and/or planning woes will be solved. Cafe-hoppers and travel-lovers, this cafe has to be on your list. The rise of healthy cafes in Singapore providing natural and organic eats has changed our perception towards healthy grub. While we love the occasional indulgence (who doesn’t? ), we also enjoy guilt-free alternatives that allow us to stick to our fitness plans. 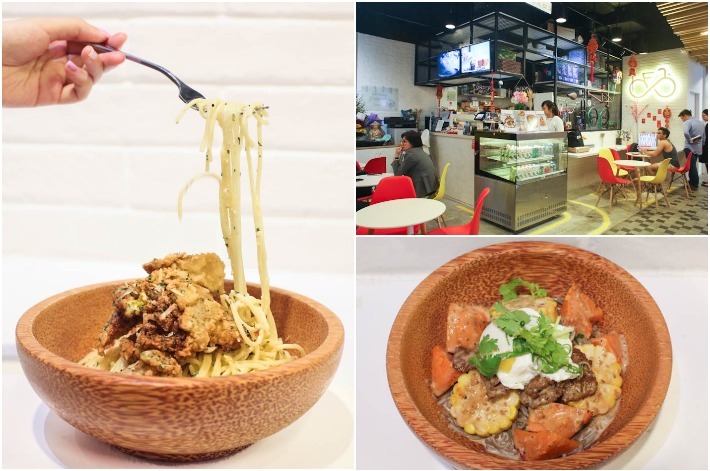 Taking over the former spot of One Man Coffee at myVillage in Serangoon Gardens, Staple Food aims to provide nutritious, yet gratifying meals that do not compromise on taste—using only fresh ingredients so from reliable suppliers. The cafe has a curated food menu but diners can customise their own bowl to suit their personal dietary needs. Sitting along the old-fashioned shophouses that line North Bridge Road is The Dim Sum Place. You won’t be able to miss it because it has this eye-catching bright orange awning. This place doles out good Cantonese dim sum with a creative local twist that will allow you to sample a unique mix of flavours in a single meal setting. The best part? It is halal-certified so our Muslim friends can enjoy the dim sum, too! Behold, salted egg—the holy grail ingredient used in many dishes here in Singapore. Over the past few years, salted egg has blown up in the local food scene and many restaurants, cafes, and eateries have put out insanely creative dishes using salted egg; and we love it! It is hard to resist anything salted egg, really. From seafood dishes such as salted egg crab and salted egg prawns, to even salted egg burgers and pasta, we see this ingredient used in so many different cuisine types—both in Asian to Western cuisine. 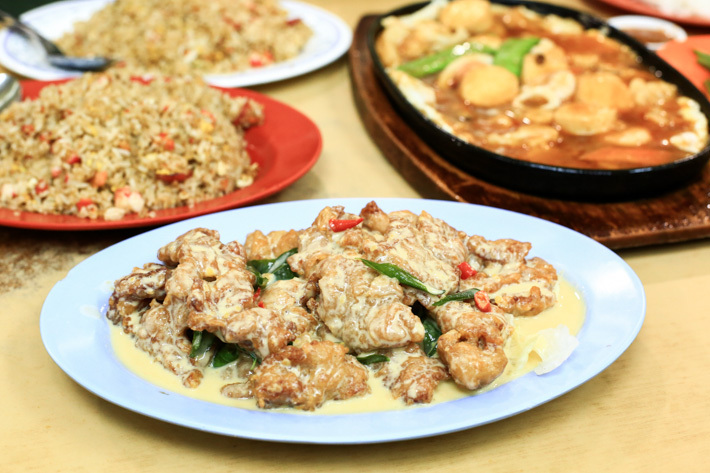 Come forth and join us in celebrating the love of salted egg at www.saltedeggshiok.com, a special website designed as an aggregator for all the best salted egg dishes on our island! Tag your favourite dishes with #saltedeggshiok on Instagram and stand to win prizes that include a FREE trip to Japan! Yes, this is one website to bookmark because you get both handy information and to win prizes! Located on the eighth level of Orchard Central is 160-seater mookata restaurant Talay Kata. 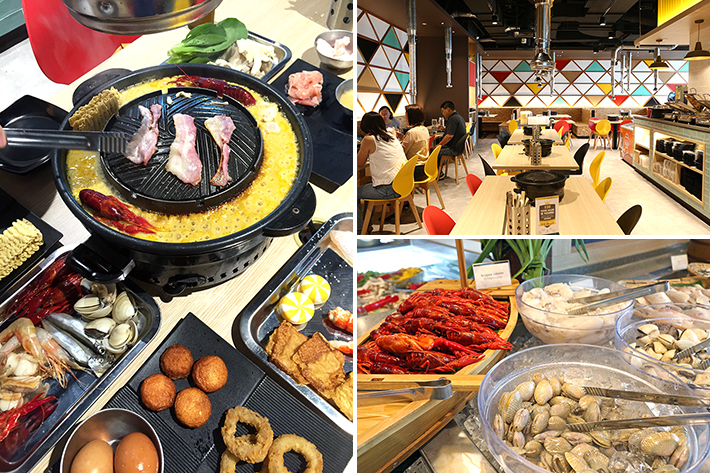 The Thai seafood barbeque buffet restaurant’s concept is different from most other eateries—you get to cook your food in the comforts of indoor air conditioning equipped with smoke suctions. Barbeques minus the nasty smell? We are in. Prices range from S$18.80++ per adult during lunchtime buffet and S$28.80++ per adult during dinner buffet. The buffet’s highlight would be their decadent seafood spread such as crayfish, king crab and slipper lobster. Talay Kata offers a variety of soup bases, from Bonito Soup, Chicken Soup to Tom Yum Soup, and the popular Salted Egg Seafood Soup. Shihlin Night Market is a must-visit “attraction” for anyone visiting Taipei for the first time and this bustling night market is home to some of the best of Taiwanese street food. Shihlin Taiwan Street Snacks is a food chain in Asia Pacific that offers authentic Taiwanese snacks with more than 150 outlets throughout the region and there is a total of 14 outlets here in Singapore. 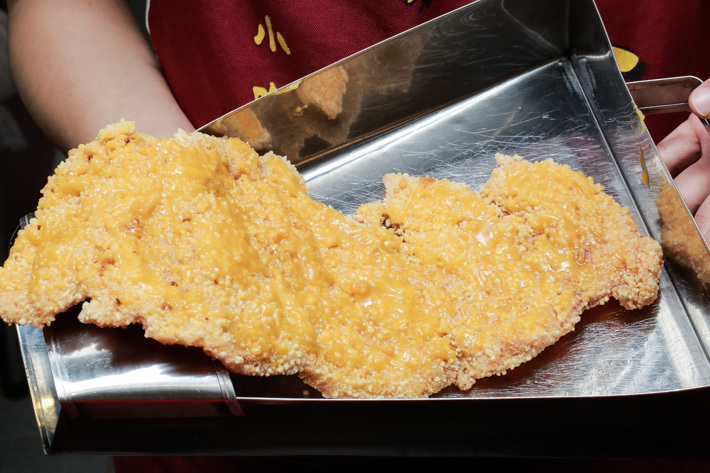 You must have had a taste of their famous XXL Crispy Chicken, a popular snack that you can find in the actual Shihlin Night Market. This is probably the closest you can get to the real deal. Now, Shihlin Taiwan Street Snacks has introduced a spanking new rendition of this snack—Salted Egg Yolk Crispy Chicken. We already know how great fried chicken tastes like, but when coated with salted egg yolk sauce, it is pure genius! 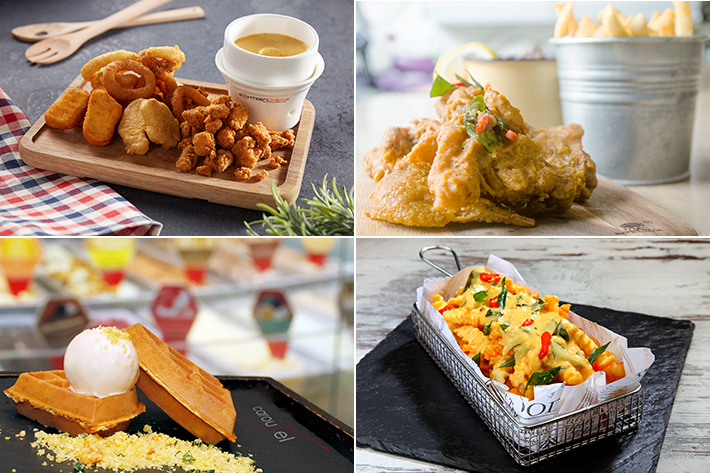 Here is what we loved about the all-new Salted Egg Yolk Crispy Chicken and other signature snacks from Shihlin Taiwan Street Snacks. New Station Snack Bar nestled in Far East Plaza is where you can find affordable Chinese food in town. This small eatery has been highly raved about for serving delectable pork ribs, chicken wings and other side dishes.